Not all conversions happen online. 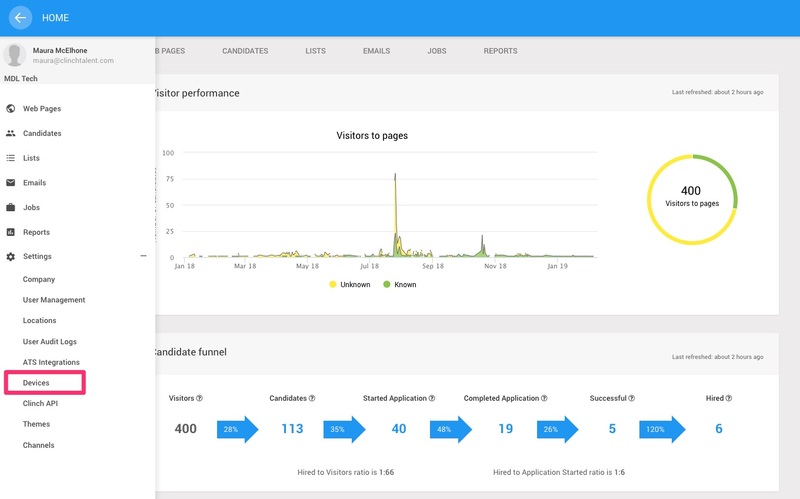 Connect with candidates face-to-face and capture their information on the fly using the ClinchTalent Capture app on your mobile device. Perfect for careers fairs and recruiting events. 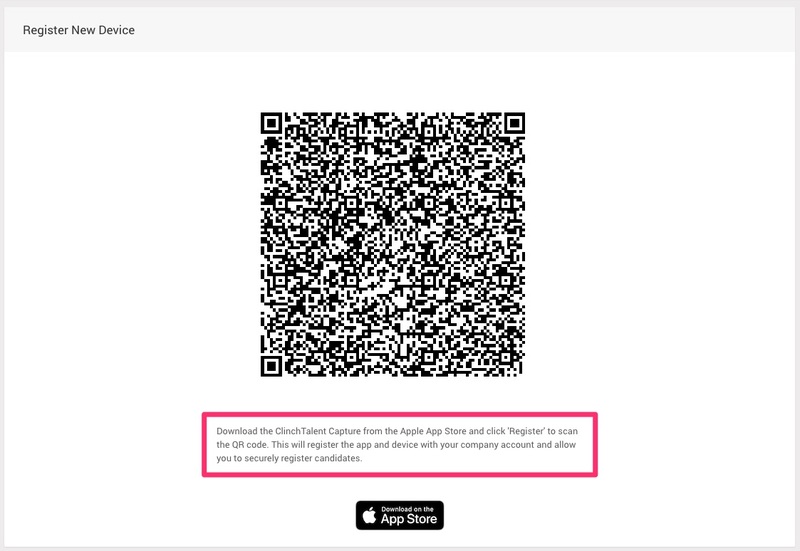 Once you have the ClinchTalent capture app downloaded, log in to your Clinch Talent platform account. In the left menu, click on Settings > Devices. Click the green "+" button in the top right corner. A QR code should appear on the screen. Follow the directions that accompany it to register the ClinchTalent Capture app with your company account. Once you have done this, you can start registering candidates securely on your mobile device.